So so pretty!!! The cut outs to show the pink background paper are awesome. Beautiful layering of flowers too! Mary this is fabulous! 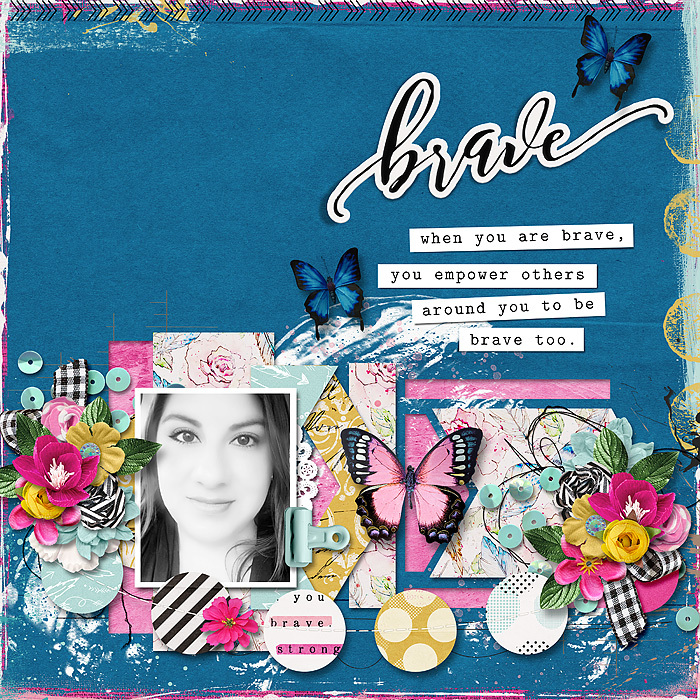 I love the bold blue solid, your gorgeous photo and the pink and black pops of color. I thought I recognized that template from my stash! I love how you used it. Beautiful with the dark blue background. Gorgeous page. Love the painted edges and the butterflies and quote. I love the colors. It's so bold and beautiful.